1.5 This document does not affect any statutory rights you may have as a consumer. 3.1 In order to take advantage of your rights under this policy, you must contact us to obtain a return authorization, and then send the product to us together with the return card. Any unauthorized return will not be accepted. 3.2 You will be responsible for paying postage costs associated with returns under this policy. 7.2 We are registered in Singapore under registration number 53343395M and our registered office is at 679B Jurong West Central 1, #14-02, Singapore 640679. 7.3 Our principal place of business is at 679B Jurong West Central 1, #14-02, Singapore 640679. 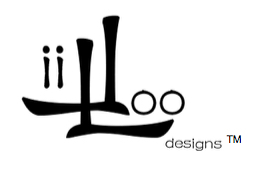 7.4 You can contact us, by using our website contact form or by email to liiloo@liiloodesigns.com.